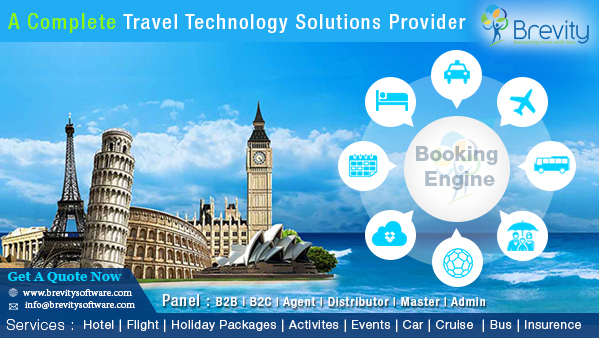 An international travel portal development company provides features such as Domestic & International Flight Bookings, Hotel Booking, Car Bookings, Holiday Booking System, Bus Bookings and Payment Gateway Integration. We have a team of professional web designers, developers, and consultants who create your travel portal using their experience and expertise in this domain. Some key benefits, which make us a leading travel portal development company, are that we provide a computerized system providing online bookings, cancellations, amendments, and payments, API (Application Program Interface) for air, bus, car, hotels, and rail (all third party listings with online booking and live updates), Compatibility with the existing systems, Interactive web features with user-friendly navigation, Management of multiple payment options and online payment gateway integration, Multi-supplier booking engine with competitive price evaluation features, integration of ‘Google plus Map API’ (providing accuracy in the functionality of finding hot destinations, address locator, and way of destinations), Real-time access for supplier databases and dynamic content, Single-point integration through a broad listing of online traveling solutions, Superior content management for tapping into the content displayed on your website, A user friendly system to create Custom Tours and Dynamic Holiday Packages, Easy management for commission rules and custom markup for higher profits, Comprehensive Admin panel with statistical analysis in terms of charts and reports, Suppliers, Agents, Sub-Agents management panels, Bookable Activities and Events Ticketing integration, B2B and B2C dashboards, Discount rules, promotions and deal creation modules.